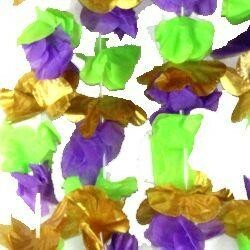 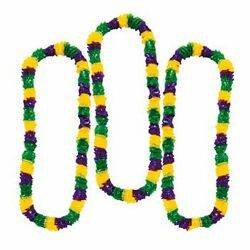 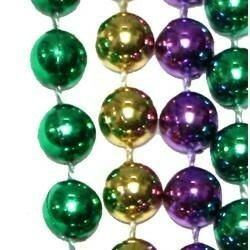 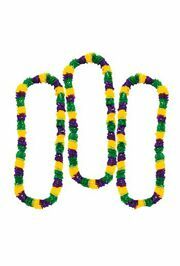 A set of 12 - 36 inch purple, green, and gold plastic Mardi Gras leis. 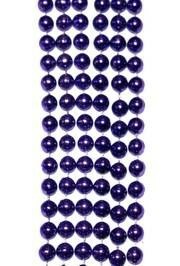 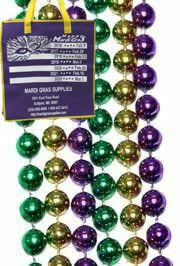 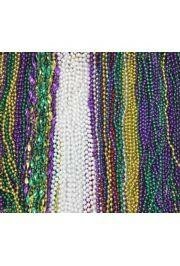 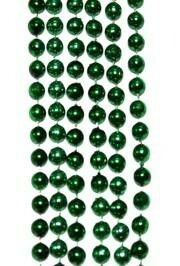 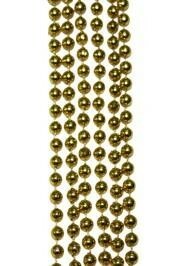 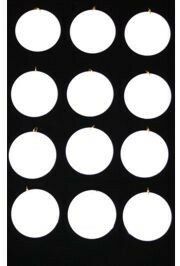 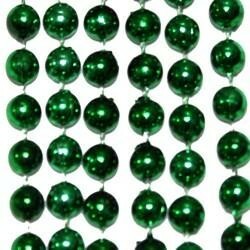 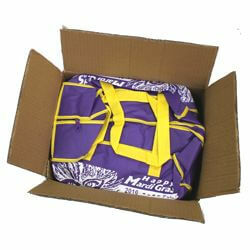 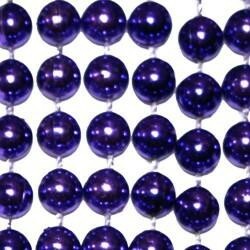 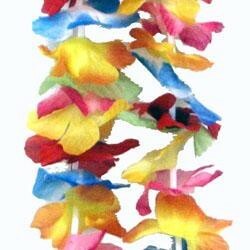 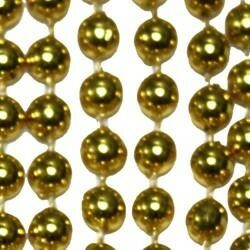 They are good for throws for Mardi Gras parades and for parties and luaus. 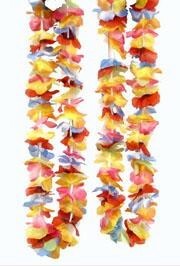 Say "Aloha" to your luau party guests with bright flower petal leis. 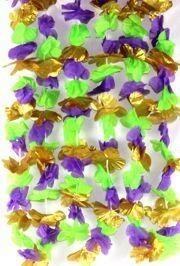 Artificial flower lei in Mardi Gras purple, green, and gold colors.